In order to participate on a Springboard+ course, Employed/Returner applicants must meet the eligibility requirements that they are normally resident in the state, are EU/EEA/Swiss nationals and have resided in the EU/EEA/Swiss state for at least three of the five years preceding their entry to the programme. Unemployed applicants must be Department of Employment Affairs and Social Protection (DEASP) customers and in receipt of an eligible DEASP payment. There is no requirement to be in receipt of a payment for a particular period of time prior to the commencement of the programme. Participants in receipt of an eligible payment at the time the Springboard+ course commences are eligible to apply for a place on that course. However, providers will be required to give priority to applications from people who are long term unemployed. People participating in the Community Employment Scheme; the Rural Social Scheme; Tús or in receipt of the Back to Work Enterprise Allowance or the Short Term Enterprise Allowance may apply for Springboard+ and, with the approval of a Department of Social Protection Case Officer, take up a Springboard+ course. It should be noted that acceptance on to a Springboard+ course does not confer any entitlement to DEASP payments or childcare supports. 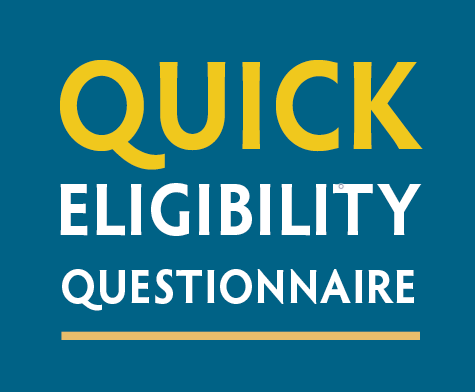 For the purposes of determining eligibility for Springboard+ the term unemployed also includes people who are on short term working and in receipt of a Jobseekers payment from the Department of Social Protection. Homemakers are those who are not in receipt of a payment from the Department of Social Protection or may be economically dependent on a partner or spouse, but have been out of the work environment for a number of years due to childcare or other caring obligations and have a previous history of employment but may require upskilling, reskilling or cross-skilling to transition back to the workforce. In addition the applicant will need to provide supporting documentation to support their status as a Returner. the applicant must swear a declaration before a Commissioner for Oaths attesting to their status. A form to complete this process is available here. To be eligible those who are formerly self-employed must provide a letter/statement from Revenue stating that the applicant is no longer trading or a similar letter from the applicants (former) accountant should be sufficient. Alternatively, you can swear a declaration stating that you are no longer self-employed. Applicants who are employed will need to meet the residency and nationality/visa requirement. This category of applicant will also be required to provide a copy of their most recent P60 or other relevant revenue documentation or a letter from their current employer to confirm employment or self-employment. A full set of Frequently Asked Questions can be found here. One-year full-time and two-year part-time ICT Skills Conversion courses are open to recent graduates. However, to participate on a NFQ Level 9 (Post Graduate) course, a period of at least one year must have elapsed since completing a full time undergraduate degree course leading to a major award at level 8 on the NFQ. Participation on a Springboard+ course will not confer any entitlement to receive an income support payment from the Department of Social Protection. Participants who are in receipt of a Department of Social Protection income support payment may be able to retain such payments. The PTEO will continue to apply when a participant is undertaking a work placement of less than 6 months duration that is a specific component of a Springboard+ course. Prior to commencing a Springboard+ course participants in receipt of Jobseekers Benefit or Jobseekers Allowance should contact their local social welfare office to make an application to retain their payment under the PTEO. The relevant Springboard+ PTEO 2018 form can be downloaded here. The PTEO scheme does not involve any special payment. Signing-on arrangements continue to apply for PTEO claimants. Attendance on part-time courses is allowed on the clear understanding that availability for and genuinely seeking work opportunities must take precedence over course attendance, including attendance at any work placement component of a course, should a conflict arise. To be eligible for an ICT skills conversion course a person must meet the residency and nationality criteria, be suitably qualified and hold a Level 8 Degree in a cognate discipline, or in line with the policy for Recognition of Prior Learning (RPL) of the higher education provider, or be someone with sufficient relevant experiential learning. For the one-year full-time ICT Conversion courses you may be eligible irrespective of your employment status (i.e. whether you are employed or unemployed) and regardless of whether you are in receipt of income support from the DEASP. For the two-year part-time ICT Conversion courses, you may also be eligible if you are employed. If you are unemployed and in receipt of a jobseekers payment (including Farm Assist and Qualified Adults of Working Age) you are not eligible for the two year ICT Conversion courses. However, if you are in receipt of other social protection payments, e.g. One Parent Family or Disability Allowance, you may be eligible for the two-year part-time Conversion programmes. Please consult with your DEASP Case Officer to establish this. Tuition fees are waived for all successful applicants but applicants in employment are required to pay a 10% contribution towards the course fee. The academic entry criteria for admission to courses funded through the initiative is determined by each participating higher education provider. However, it is essential that applicants assigned a place are capable of attaining the requisite (level 8) proficiency in high-level ICT skills. In line with the Government priority to support people who are unemployed (in particular those who are unemployed for more than 12 months) to reskill in areas of emerging skills needs, where a provider receives more applications from suitably qualified candidates than there are places available, providers are asked to ensure that these places will be awarded to people who have been unemployed for the longest durations. A person who is receipt of Jobseekers Benefit or Jobseekers Allowance for at least nine of the previous twelve months may qualify to retain their income support while participating on a one-year, full-time ICT skills conversion course. Eligible participants will transfer to a bespoke version of the Back to Education Allowance (BTEA). However, as stated above, please note that a person who is in receipt of a Jobseekers payment (including Farm Assist and Qualified Adults of Working Age), regardless of duration, is not eligible to apply for a place on two-year part-time Conversion courses. Eligible DEASP clients who are accepted on a course should immediately contact their local social welfare office and submit a completed BTEA-Springboard+ ICT conversion 2018 form which can be downloaded here. Participation on periods of work experience which are identified as an integral part of the course may also be pursued and supported under BTEA. If you are in receipt of other forms of income support from DSP such as the One Parent Family payment you should contact your local DSP office to confirm if you are eligible to participate on an ICT conversion course and retain your income support. Applicants who are previously self-employed and/or signing for social welfare credits are eligible to apply for a ICT skills conversion course but are not eligible for a payment under the BTEA scheme. For further information please see the Frequently Asked Questions page here.